La partie sud de l'île d'Öland, dans la mer Baltique, est dominée par un grand plateau calcaire. Les hommes vivent ici depuis quelque cinq mille ans et adaptent leur mode de vie aux contraintes physiques de l'île. Le paysage est, de ce fait, unique et témoigne abondamment d'une occupation humaine continue depuis la préhistoire jusqu'à nos jours. تسيطر على الجزء الجنوبي من جزيرة أولاند في بحر البلطيق هضبة كلسية كبيرة. وأصبحت هذه المنطقة منذ 5000 عام مأهولة بالسكان الذي يكيّفون نمط حياتهم مع الصعوبات التي يواجهونها في الجزيرة، وهو ما يسبغ المنظر بالفرادة ويجعله شاهداً على التواجد البشري المستمر منذ عصور ما قبل التاريخ وحتى اليوم. В южной части острова Эланд на Балтийском море доминирует обширное известняковое плато. Люди, жившие здесь около 5 тыс. лет назад, приспосабливались к природным условиям острова. Сформировавшийся в итоге уникальный ландшафт несет многочисленные следы проживания человека с доисторических времен и до наших дней. El sur de la isla báltica de Öland está dominado por una gran meseta calcárea en la que el hombre vive desde hace más de 5.000 años, adaptando su modo de vida a las condiciones naturales. El resultado de esa presencia humana es el excepcional paisaje del sitio, en el que abundan los testimonios de poblamientos continuos desde los tiempos prehistóricos hasta nuestros días. Het zuidelijk deel van het eiland Öland in de Oostzee wordt gedomineerd door een groot kalkstenen plateau. Ongeveer vijfduizend jaar hebben hier mensen gewoond die hun manier van leven aanpasten aan de fysieke beperkingen van het eiland. Het eiland bevat een overvloed aan aanwijzingen voor continue menselijke bewoning vanaf de prehistorie tot op heden en is daarmee uniek. Zuid-Öland is een uitstekend voorbeeld van menselijke bewoning waarbij optimaal gebruik is gemaakt van de diverse landschapstypen op een eiland. De middeleeuwse verkaveling toont hoe natuurlijke omstandigheden al in een vroeg stadium de omvang van de bebouwbare oppervlakte dicteerden. The southern part of Öland, an island in the Baltic Sea off the south-eastern coast of Sweden, is dominated by a vast limestone plateau. People have lived there for some five thousand years, adapting their way of life to the physical constraints of the island. As a consequence, the landscape is unique, and there is abundant evidence of a continuous human settlement from prehistoric times to the present. This outstanding human settlement has made optimum use of diverse landscape types on a single island. Limestone bedrock and a warm, dry climate have set limits for how the islanders can use their landscape. Earlier, the land was divided into infields and pastures. The infields lay closest to the village and consisted of arable lands and meadows. The pastures – the alvar plains and the coastal lands – were used for grazing. With the transformation of agriculture in the 19th century, this distinction disappeared on the mainland and elsewhere in Europe. Instead of being part of the agricultural system, pastures were used for timber production. In Öland, barren soil ruled this out, and the old division, with linear villages in ‘lawful location’, was retained and is easily discernible today. Southern Öland is a living agrarian landscape where villages, arable lands, coastal lands and alvar plains make up this World Heritage property. The villages are almost entirely located along Västra Landborgen, and there are a large number of archaeological sites from the prehistoric period. The present agricultural landscape and the community of southern Öland have a unique cultural tradition which still exists in land use, land division, place names, settlement and biological diversity as far back as the Iron Age. The Öland farmers, in their various everyday lives, are a necessary part (sine qua non) of the history and future of this landscape. Today, the islanders farm land which has been ploughed for generations and put livestock out to pasture on land which has been grazed for millennia – a unique situation. In order for the particular natural and cultural qualities of the property to be sustained, the future must also include a living agriculture. Criterion (iv): The landscape of Southern Öland takes its contemporary form from its long cultural history, adapting to the physical constraints of the geology and topography. Criterion (v): Southern Öland is an outstanding example of human settlement, making the optimum use of diverse landscape types on a single island. The property encompasses 56,323 ha which comprise the entire cultural landscape that demonstrates the historical land-use and land division system. The landscape is preserved in all its necessary parts and contains all the necessary attributes to convey the Outstanding Universal Value of the property. It preserves abundant traces of its long settlement history and continues to demonstrate human ingenuity and resourcefulness in utilizing a physical landscape and environment that are not at first sight favourable to human settlement and exploitation. Also, the medieval land-use pattern of villages and field systems is still clearly visible, which is a very rare survival in northern Europe. The farmers are a living part of the contemporary lives and livelihoods of the agrarian landscape hence the integrity of this World Heritage property as a cultural landscape is fully maintained. The present-day agrarian landscape is characterized by several distinct and historically significant chronological strata, which together reflect a considerable chronological depth: a) the abandoned Iron Age landscape, b) the far-reaching medieval distinction between infields and pastures, with settlements structured as villages and c) the land distribution reforms of the 18th and 19th centuries, resulting in the redistribution of holdings and the erection of stone walls to mark the boundaries between them. The functional relationship between the elements of the agricultural landscape of southern Öland is very distinct, extremely well-preserved and highly authentic. Successive protective measures have ensured the survival of the significant cultural features of southern Öland with a minimum of extraneous additions or modification. As a continuing landscape, therefore, its authenticity must be considered to be high. Within the World Heritage property, ownership is principally vested in a large number of private individuals and enterprises, the State and Mörbylånga Municipality. Throughout the municipality, the number of farmers has decreased from 428 to 360 between 2000 and 2010. However, no agricultural land has been taken out of production. The agricultural policy of the European Union and Sweden may have a decisive impact on the future of southern Öland. As noted before, in order for the natural and cultural attributes of the property to be sustained, the future must also include a living agriculture. A declaration of intent regarding the property has been agreed upon by the County Administrative Board of Kalmar, the Federation of Swedish Farmers, the Regional Council of Kalmar County and Mörbylånga Municipality. 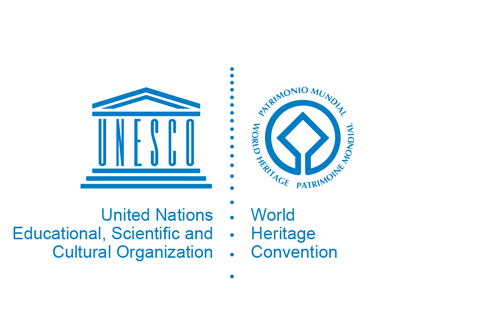 The guidelines for cooperation and objectives for the World Heritage property are set out in this policy document. A management plan for this property was adopted in 2008 and includes a clarification of the division of responsibility between these parties as well as provisions for its conservation and protection.